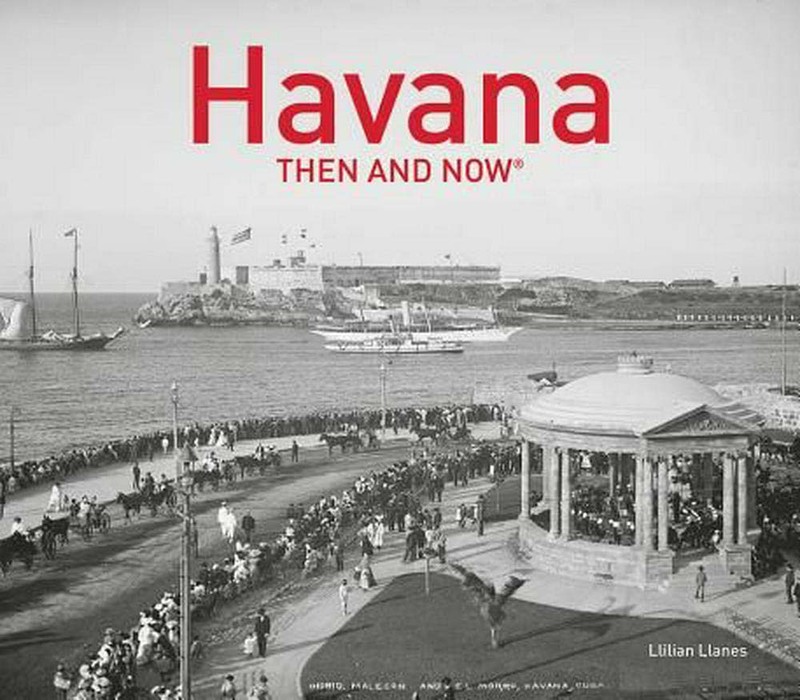 Havana Then and Now explores the history of Cuba’s fascinating capital city through vintage photographs, comparing each one with a contemporary image of the same vista. All the major buildings of Havana’s rich architectural and cultural heritage are represented, including Old Havana and its fortifications, a UNESCO World Heritage site. Author Llilian Llanes has witnessed much political change in her lifetime. Previously married to Fidel Castro’s first finance minister, she has been one of the principal artistic influences on the nation, maintaining contacts with other countries through cultural exchanges. Havana Then and Now is a revision of the book she first wrote in 2003. It includes the buildings of state, the Spanish influences of the nineteenth century, the ancient churches, old public squares and shopping streets shaded by giant awnings. Sites include: Castillo del Morro, Fortaleza de San Carlos, Wreck of the Maine, the Malecon, Paseo del Prado, Plaza de San Francisco, Muelle de Luz, Avenida del Puerto, Plaza de Armas, Calle Obispo, Calle O’Reilly, Barrio Chino, Tacon Market, Parque Central, Hotel Inglaterra, Hotel Plaza, Teatro Tacon, Teatro Payret, Campo de Marte, Capitolo Nacional, Presidential Palace, Columbus Cemtery, Monument of the Medical Students, University of Havana and Ernest Hemingway’s house.